Chauke trained in Venezuela before coming to the UK and becoming registered with the GMC in 1981. 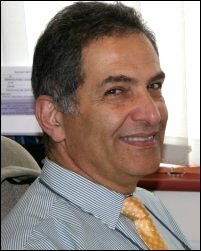 He joined the practice in 1986, firstly as a registrar (Trainee GP) and then became a full time partner in October 1987. Chauke enjoys all aspects of general practice . 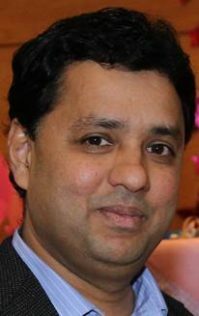 In addition to his role as a full time GP, he is the educational lead for Bracknell and Ascot CCG. Chauke is a single parent with two boys. He is very keen on exercise and enjoys all sporting activities. Wishav qualified in 1982 from Westminister Hospital in London and had planned on being a cardiologist before seeing the light and turning to General Practice! 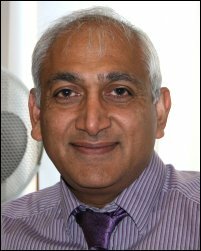 He started at the Gainsborough Practice in 1995 and enjoys all aspects of General Practice particularly Long Term Conditions, Diabetes, Cardiology and Minor Surgery. He is the chair of the IM&T committee for the Bracknell and Ascot CCG and represents the Practice at the Bracknell and Ascot Clinical Consortia Group. Wishav has two children one pursuing a career in Criminology and the other involved in the Arts. His other interests include Mountain Biking, Rugby, Jazz Music, Surrealism and Astronomy. Sophie trained at Imperial College London and qualified in 2011. She subsequently worked in London and then Surrey before joining the practice in 2016 as a salaried GP. She enjoys the great variety of general practice. Sophie lives in Windsor and enjoys travel. Farhat joined the practice on Oct 3rd 2016 as a long-term salaried GP. 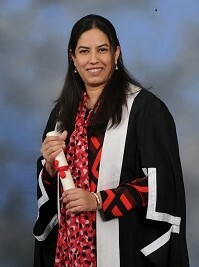 Dr Moin completed her GP Training at the London Deanery and has worked in Emergency and Internal Medicine in the past. She moved from London to Wokingham and joined The Gainsborough Practice in October 2016. She has additional qualifications; DRCOG, DFSRH and LoC IUD/Implant. Her special interests are in Gynaecology and Obstetrics and she has started the contraception clinic (IUD and implant fitting and removal) service at The Gainsborough Practice. Dr Moin is married and has two children. She enjoys cooking, walking and spending time with kid's activities. Manik trained and worked in Australia before coming backpacking to Europe and never left! Due to her husband's work she relocated to Singapore for several years where she worked as a private GP. On returning to the UK she retrained through the Oxford Vocational Training Scheme and worked as a GP registrar at the Gainsborough in 2015. She loved it so much she returned and is keen to keep the practice developing and moving forward. She is married with three children. She loves coffee and chocolate and has to exercise a lot so ​she can enjoy them without feeling too guilty. She also loves movies, long walks and sleeping in. Simon graduated from India and has been registered with GMC since 2005. He did his GP training in Surrey and joined The Gainsborough Practice as a salaried GP in April 2018. Simon has a special interest in musculoskeletal medicine and is married with two children. Simon enjoys music and cricket.